This marble floor continues from the living room area into a restroom. The homeowner preferred to have a polished finish in the living room area, shown in the upper portions of each image, and a honed (matte) finish in the restroom, shown in the lower portions of each image. Naturally, we used different restoration processes on each section of the floor, using the doorway between the two rooms as our point of transition. In addition, we colored the grout lines with epoxy stain to achieve a nice uniform look. 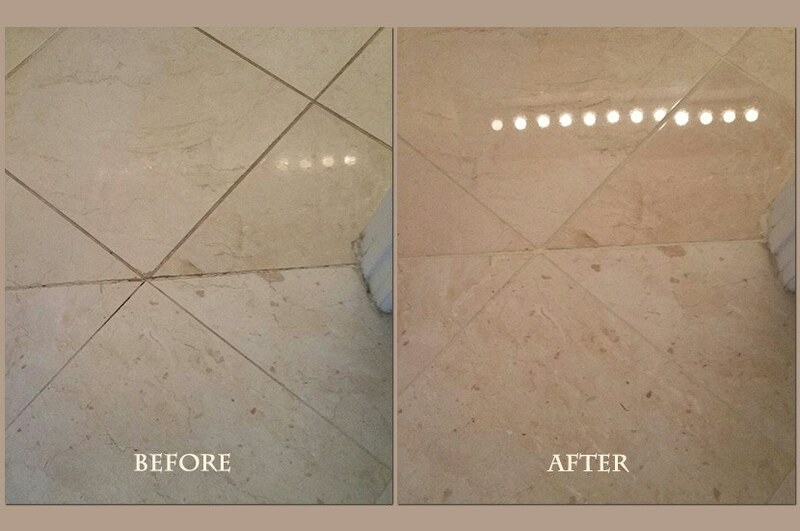 You can see, by comparing the before and after images, the dramatic difference in the appearance of the grout lines and the beautiful polished and honed finishes — this 25-year-old floor looks like new again! 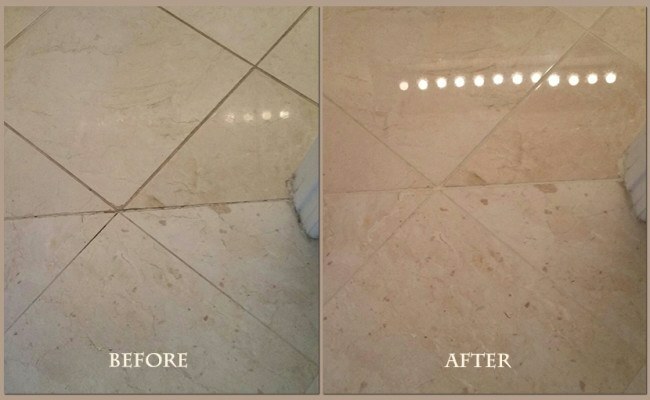 What is your marble floor finish preference? Do you love the reflective, glass-like quality of a polished marble floor? Or do you prefer the smooth, silky appearance of a honed finish?